Contents: The castle -- Metamorphosis and other stories -- The trial. 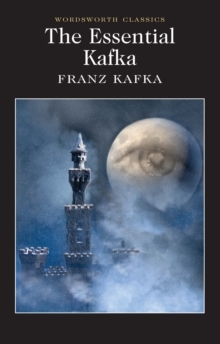 Like George Orwell, Franz Kafka has given his name to a world of nightmare, but in Kafka's world, it is never completely clear just what the nightmare is. The Trial, where the rules are hidden from even the highest officials, and if there is any help to be had, it will come from unexpected sources, is a chilling, blackly amusing tale that maintains, to the very end, a relentless atmosphere of disorientation. Superficially about bureaucracy, it is in the last resort a description of the absurdity of 'normal' human nature. Still more enigmatic is The Castle. Is it an allegory of a quasi-feudal system giving way to a new freedom for the subject? The search by a central European Jew for acceptance into a dominant culture? A spiritual quest for grace or salvation? An individual's struggle between his sense of independence and his need for approval? Is it all of these things? And K? Is he opportunist, victim, or an outsider battling against elusive authority?Finally, in his fables, Kafka deals in dark and quirkily humorous terms with the insoluble dilemmas of a world which offers no reassurance, and no reliable guidance to resolving our existential and emotional uncertainties and anxieties.